Jojo with General Manager Jaime De La Vega a few CicLAvias back. When I first started interning at the LADOT Bike Program back in December of 2011, I had no idea what I was getting myself into. I only knew one thing with certainty, and that was that I wanted to make a difference. My involvement with the blog came a month or so after I started at DOT. I was reading a post about USC’s proposed bike ban on campus and was just enthralled by the comment thread. People were sharing their personal experiences, exchanging ideas – it revealed to me that the blog was a great place to share perspectives and opinions. Finally, on a post about road diets, I volunteered to help out and the rest is history. 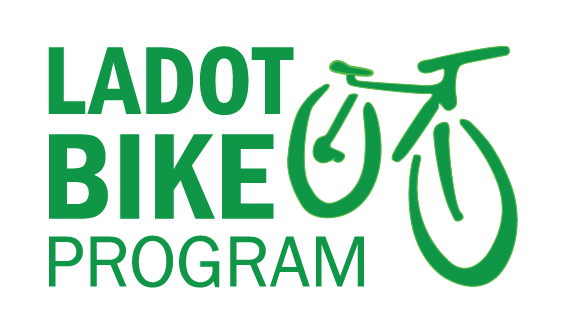 We’re inviting you to join us in this new endeavor we’re calling the “LADOT Bike Blog”. The bicycling community in Los Angeles has seen explosive growth over the last few years and the online bicycling community has grown along with it. Accordingly, the L.A. bicycling community deserves an online source of information on bike happenings from LADOT Bikeways. 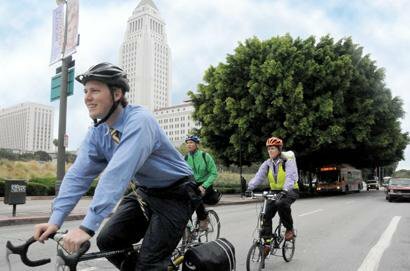 With those words, the LADOT Bike Blog became a part of the conversation in the Los Angeles bicycling community. The goal of the blog has and always will be to be both a resource and a conduit for the exchange of information and ideas between the department and you. It’s now been over a year and a half since this grand experiment first took shape and we are proud of the many accomplishments that this blog and its creator, Christopher Kidd have achieved. Rest assured, Chris’ grand vision is still here to guide us as we move forward. 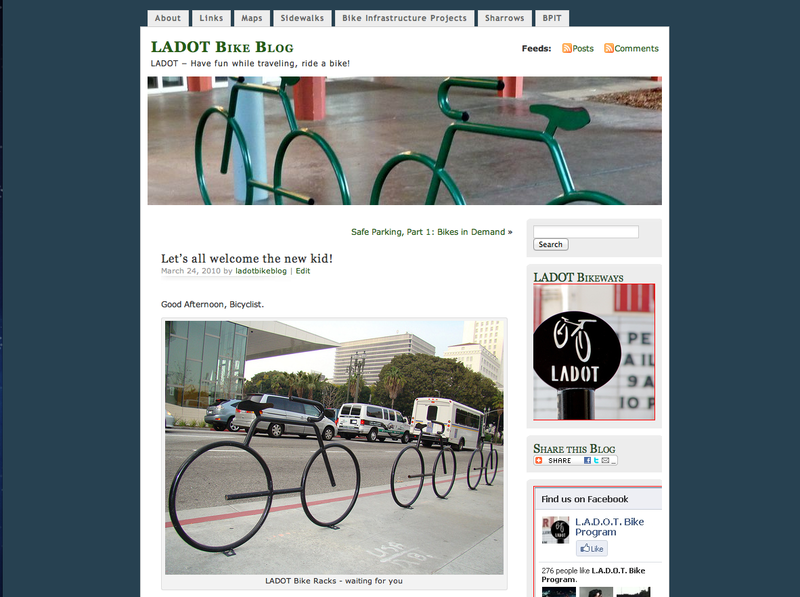 Join us below the fold to learn more about what the future has in store for the LADOT Bike Blog. While we regretfully contemplate an L.A. without Chris Kidd, we’ve got one more reason to applaud his LADOT Bike Blog efforts: We received word last week that Chris has won the California statewide Student Planner award from the American Planning Association’s California chapter, the “2011 Distinguished Leadership Award for a Student Planner”. Chris really did a terrific job of putting a human face on the efforts of everyone involved in making L.A. a more bikeable place, advocates and city workers alike. While we’ll miss his enthusiasm and doggedness, we hope the best for him in the Bay Area. He’ll receive his award this September, at the California APA conference. bikerdude It was a great ride with you… take care. kayojon Thanks for being a pioneer for the biking community and the City of LA. sirinyairinya Wow! You’ve done a great job here, Chris. Best wishes on your next step! C-More Ahh, sad to read about the passing of the torch, excited to see what is ahead for LADOT Bike Blog, even more so to hear what Chris will be doing! Looking back at all the hard work and energy that Chris put into this blog it is no wonder why it is so successful. Chris would dedicate countless unpaid hours at meetings/rides/events/ and research to make sure he would have content for his loyal readers. His fan base blossomed from a few loyal fans to countless numbers of people and hits! …Chris will surely be missed but I expect to hear great things from him in the very near future! Good work and good luck Chris! Alex de Cordoba I think I commented something snarky on your first post. You were a gentleman then and a gentleman now. I wish you success in your next adventure. And everyone should view Dennis Hindman’s comment in its original glory, thanks for summing it up so well Dennis! It’s been quite a ride, hasn’t it? 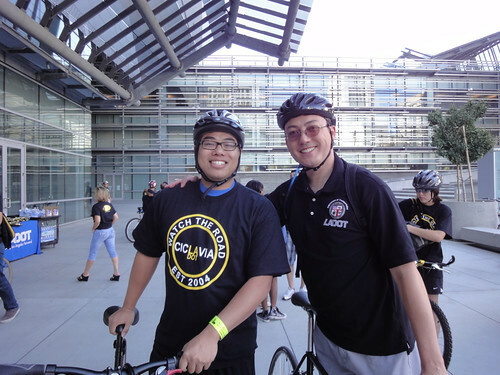 As I prepare to pass the LADOT Bike Blog torch to the capable hands of current intern (and soon-to-be Student Professional Worker) Jojo Pewsawang, I can’t help but reflect on everything that’s happened during my time at the LADOT Bike Blog.